As a multi award-winning Shropshire wedding venue, we know that the small details can make a big difference to a special day. So to make your wedding bespoke just for you why not add some finishing touches to make your special day extra-special? Our Wedding Planners have years of experience under their belt and a host of wedding suppliers on speed-dial. No request is too bizarre or too outlandish … we can try to accommodate – if we can! There is so much to do when planning a wedding, that sometimes it’s best to get a helping hand! To save time, effort and hassle we’ve put together a package that incorporates all of the most-popular wedding ‘finishing touches’. The Hadley Park Finishing Touches Package includes extras for up to 100 people and can be added onto any wedding package or special celebration. The Finishing Touches Package is priced at just £595.00. Why not add a little more sparkle? Our dedicated wedding team is highly-experienced in ensuring your day will run as smoothly and enjoyably as possible, for you and your guests. We would be delighted to meet with you at our award-winning Shropshire wedding venue to talk through your ideas – we want to turn a great day into an unforgettable one. 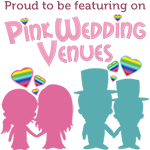 Please call us on 01952 677269 to make an appointment with one of our experienced wedding planners.